Startup Estonia and EIT Digital signed a Memorandum of Collaboration on May 25th, the first day of Latitude59, to help the Estonian innovation ecosystem develop further during Estonia’s EU presidency and also play an increasingly important role in the international digital landscape. Startup Estonia, a governmental initiative aimed at supercharging the Estonian startup ecosystem, and EIT Digital, the leading European digital innovation and entrepreneurial education organisation driving Europe’s digital transformation, signed a Memorandum of Collaboration (MoC) to join forces to support the development of the Estonian innovation ecosystem. 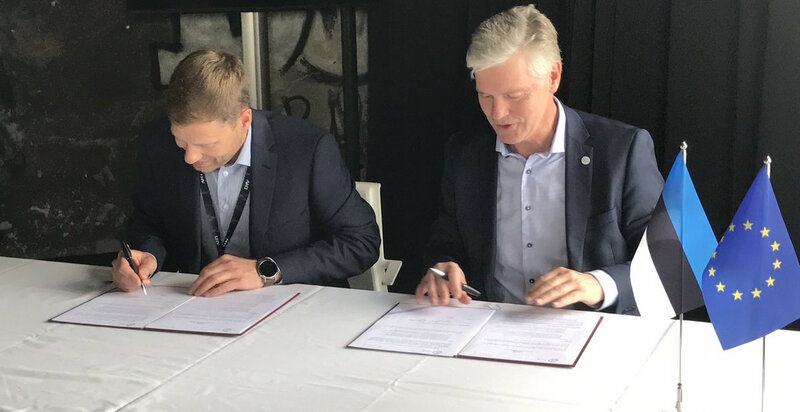 The signing, in the context of the innovation and startup conference Latitude59, was done in Tallinn by Willem Jonker, CEO EIT Digital, and Lehar Kütt, CEO KredEx, home of Startup Estonia in the presence of Mari Vavulski, Head of Startup Estonia and Siim Sikkut, Government CIO of Estonia.